Respiratory therapists possess a specialized body of knowledge, and base the performance of their duties on respiratory therapy theory and practice. Respiratory therapists are essential members of the healthcare team, and assume a variety of roles in different areas of practice, such as clinical, education, health promotion, management, research, administration, and consulting. Respiratory therapists practice independently, interdependently, and collaboratively, and may practice within legislated professional regulations. Respiratory therapists safely and effectively apply their skills, knowledge, and judgment based on the needs of their patients. Respiratory therapists are committed to quality outcomes, and intervene so as to contribute to the best possible outcomes for their patients. Respiratory therapists who are involved with technical procedures must do so in accordance with any regional, provincial, or manufacturer standards or recommendations. These procedures must incorporate best practice standards, and should be research based. Respiratory therapists, in consultation with peers, relevant others, equipment manuals, and CSA guidelines shall select, operate and maintain equipment to provide safe, effective care. Respiratory therapists ensure that all equipment is appropriately cleaned, disinfected or sterilized, and is properly maintained and calibrated by trained personnel. Respiratory therapists will notify and discuss with the physician if he or she feels the ordered therapy/diagnostic procedure is inappropriate for the patient’s condition. The respiratory therapist may refuse to perform such therapy/diagnostic procedure if they feel that it is detrimental to the patient. Such refusal must be made clear to the physician and be documented. Respiratory therapists shall understand the objective of the ordered therapy/diagnostic procedure and will clarify with the physician if necessary. Respiratory therapists will inform the patient of the therapy/diagnostic procedure that will be performed, respecting the personal and legal rights of the patient including the right to informed consent and refusal of treatment. Respiratory therapists will maintain effective communication with members of the healthcare team regarding the patient’s status and progress. Respiratory therapists will institute immediate supportive measures and notify relevant members of the healthcare team in the event of deterioration of the patient’s condition. Respiratory therapists will document all information relevant to the provision of care as per organizational policies and procedures. Respiratory therapists will determine the initial clinical status of the patient, and ensure the ordered therapy/diagnostic procedure is consistent and correct for the patient’s condition. Respiratory therapists will collect data from the patient, the patient’s family, members of the healthcare team, health records and reference material to identify the patient’s level of function as well as relevant risks affecting and factors contributing to the patient’s health. Respiratory therapists will develop and implement the plan of care in collaboration with members of the healthcare team. 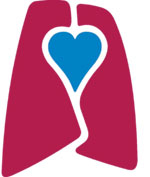 Respiratory therapists use evidence-based knowledge in selecting strategies and interventions. Respiratory therapists select strategies and interventions according to their effectiveness, efficiency and suitability in relation to the goals of the plan, and ensure that the goals of the plan are appropriate for each patient. Respiratory therapists will maintain, modify, or discontinue the plan in consultation with members of the healthcare team. Respiratory therapists will evaluate the effectiveness of strategies and interventions by comparing actual outcomes to anticipated outcomes. Respiratory therapists will use the results of the evaluation to improve policies and procedures in respiratory therapy practice related to patient care. Respiratory therapists will evaluate his/her performance of individual procedures and overall practice. Respiratory therapists are accountable for meeting the ethical and legal requirements of the profession of respiratory therapy. Respiratory therapists shall follow sound scientific procedures and promote ethical behaviour in practice and in research. Respiratory therapists shall demonstrate behaviour that reflects integrity and compassion, supports objectivity, and fosters trust in the profession and its professionals. Respiratory therapists shall report unsafe practice or professional misconduct of a peer or other healthcare worker to appropriate authorities. Respiratory therapists will provide care without discrimination on any basis, with respect for the rights and dignity of all individuals. Respiratory therapists shall refrain from indiscriminate and unnecessary use of resources, both economic and natural, in their practice of the profession. Respiratory therapists promote disease prevention and wellness. Respiratory therapists promote the growth of the profession, and present a positive image of respiratory therapy to the community. Respiratory therapists are committed to life-long learning to upgrade their knowledge and skills in order to keep their practice current. Respiratory therapists shall assume responsibility for maintaining competence in their practice of respiratory therapy, and shall seek opportunities for professional growth. Respiratory therapists shall acknowledge limitations in their knowledge, skills, or judgment, and will function within those limitations. Respiratory therapists strive for excellence in the profession by participating in, and promoting the use of self-assessment tools as well as obtaining feedback from appropriate others in order to determine and improve their knowledge, skills, and judgment.